Thirty-two-year-old ‘ice queen’ Isobel slams the cottage door and pulls the curtains shut. She has just six weeks to practise for a secret project that could save her career and no one must know she is here. When Tom, the local thatcher with eyes as blue and deep as the ocean, hears the sound of her violin on the breeze he feels a tug at his heart-strings that reminds him of happier times. Who is this mysterious new lodger, and why does she look so familiar? Desperate to find out more, Tom is devastated when Isobel refuses to enjoy everything the farm has to offer. He won’t give in, but just when it looks like Isobel is coming out of her shell, someone recognises her and the troubles from her past threaten to take away everything she has been working towards. 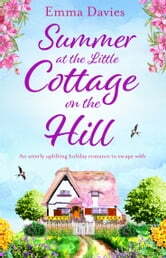 Will the lessons Isobel learned at the little cottage help her to stand up and face the music? Will Tom ever find a way to unlock the emotion she needs to move on? 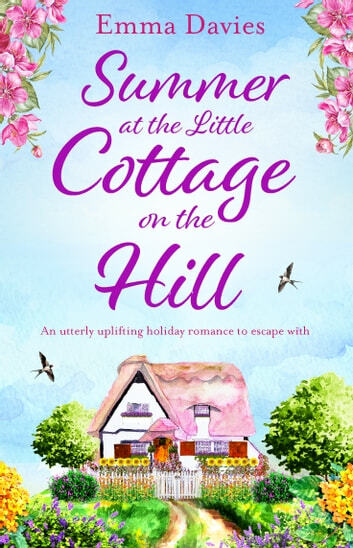 If you loved the heart-warming romance in novels by Jenny Colgan, Lucy Diamond and Debbie Johnson, you’ll adore this gorgeous, feel-good story about letting love in. Emma Davies delivers a powerful connection. Isobel has is the first to have rented a cottage at Joy Acre for six weeks. She is working on a music composition with plans of possibly jumpstarting her career as a violinist. She has a lot angst resulting from a troubled past. Tom is a thatcher who is working on the cottages at the farm. Isobel is quite uncomfortable around the affable Tom, who is quite drawn to her. Meanwhile, the rest of the folks there, Seth, Maddie, Clara and Trixie, as well as Tom, are quite like a family, one where Isobel doesn't fit in. These relationships are all important, however, and in time, Isobel begins to relax. Tom has his own demons. He is finally overcoming them as he gets deeper involved in his work on the far. Meeting Isobel is truly a balm to his soul. Not only does his music affect him in a powerful way, her beauty, as well as her reticence makes her quite desirable to him. Their relationship begins to build as they develop trust in one another's feelings. At one point Tom is asked by Clara if he believes he has found a kindred spirit in Isobel. Indeed, they are perfect for one another, as they can read each other quite well, despite Isobel's initial reluctance to draw close to Tom. Summer at the Cottage on the Hill is the second in a four-part series. I read and reviewed the first book immediately before reading this one. This helped me to feel strongly connected to all of the characters. Continuity in stories is highly favorable to me. Just as Tom, I was a strong fan of Isobel's violin playing. I sensed that I could hear the plaintive notes playing! I was also drawn to the intensity of emotion shared between Isobel and Tom. Kudos to Emma Davies for delivering such a powerful connection to her readers. Quite well done! This is truly a feel-good story. I so look forward, not only to the other books in this series, but to the rest of this author's work. Many thanks to Bookouture and to NetGalley for this ARC to review. What an absolutely delightful story....charming, warm, friendly. Deep down we all want a safe and happy place and this story provides the luxury of imagining exactly what that place might be like. They often say that you don't have to judge a book by it's cover and they are right. But I do feel that a cover reflects the emotions of the story and you can deduct more or less the general feel of the story that the author has in store for you. Here I felt I was in for romance but with a deeper meaning to it as well. I had not read part 1 and of course I missed some of the background of the characters, but I had no trouble picking up this one. It was beautiful and one particular moment, I felt like Tom : tears in my eyes and goose pimples galore. It does not matter how many problems you have, when the right people are by your side, you can accomplish anything. While I am waiting for part 3, I will keep myself busy reading part 1. Thank you, Emma Davies, Bookouture and Netgalley.